There are days here at HLAC where I will tell you a story and attempt to convey an important lesson or biblical truth. Once there was a tree…and she loved a little boy. And every day the boy would come and he would gather her leaves and make them into crowns and play king of the forest. He would climb up her trunk and swing from her branches and eat apples. And they would play hide-and-seek. And when he was tired, he would sleep in her shade. And the boy loved the tree…very much. And the tree was happy. “I’m sorry,” said the tree, “but I have no money, I have only leaves and apples. Take my apples, Boy, and sell them in the city. Then you will have money, but don’t be fooled into believing that money will make you happy, or that it’s okay to simply take from one who provides for you without any sense of gratitude. Because while I give you these apples as a gift, how you use this gift will speak volumes to me and the rest of the world about your character. And so the boy climbed up the tree and gathered her apples and carried them away. And the tree was hopeful. “I have no house,” said the tree. “The forest is my house. What did you do with the money you made from selling the apples? Did you squander that money away on yourself? Did you do anything with that money to help anyone else?…I will take your silence to mean that you did much of the former and none of the latter. Had you given freely to someone else as I have given freely to you, I was prepared to offer my branches to you in order that you might build a house for yourself. But clearly, you have learned nothing about gratitude and are still the selfish little boy that I knew so many years ago. 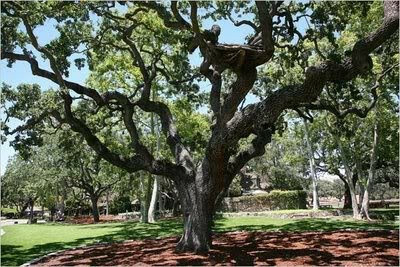 So sorry – you’re on your own.” And the boy was not happy, but the tree had had enough. And the boy hung his head. After all of those years he realized how he had wasted his entire life trying to make himself happy. Thinking the world revolved around him. And he realized what a complete tool he had been. And he hugged the tree and thanked her for all she had done for him. This time he was truly grateful and truly remorseful. And he asked if she would be so kind as to allow him to be buried underneath her so that he could be close to the only one that had ever loved him. Okay – I’m going to fess up here. I’ve been super busy lately, and I was simply going to do a repost for today. So I was looking through some of my old posts and found one of my favorites: The Creative Process: A Step by Step Guide. If you’re new here and haven’t read it, I would highly recommend doing so. It’s me at my raging ADD best. Now, where was I? Oh, yes! So I search my blog and find the post. Now, don’t get me wrong, I crack myself up. But what cracks me up even more is the fact that my friends who comment on this blog don’t feel burdened with the weight of staying on topic. It’s pretty much a free for all. My laundry needed to be done, I had some mismatched socks, I made some sock art and posted the process here. The end. There were a total of 37 comments related to this post. The comments (as often is the case) were WAY funnier and/or insightful than the original post. If you get some time, you really should go back and read them. But here’s the ones related to that wretched book. Kathy, you are hilarious! I love your sign. WARNING: I am going off on a tangent and it will be story-length. Hers was The Giving Tree. To her utter shock and dismay, I had never heard of the story. She began retelling the story and started crying as she spoke of the beautiful generosity the book teaches. (Oh yes, I was laughing at her the whole time.) She vowed to bring the book to the next game so I could appreciate the beauty and cry with her. She read it to me (in true kindergarten teacher fashion). It did not make me cry. It made me furious. I then gave this impassioned speech about how the book teaches children two very awful things: 1. To take and take and take to the point that you actually kill (spiritually, emotionally, and physically) your victim, and 2. To enter into lopsided relationships whereby you completely lose your identity in that other person and only feel fulfillment as that person uses and abuses you. It should either be called The Selfish Child or The Enabling Tree. Angela – You’re such a bad*ss. I’m glad you’re my friend. I had the exact same reaction to that book. My daughter read it to me and I was like – “Well, I hope you don’t think it’s okay to treat people like that!” That tree needs some serious therapy! I taught primary grades in a Catholic School for twelve years. Let me tell you something about The Giving Tree……I never read it to my students even once. It was read to me when I was a child by my teachers. Didn’t like the boy at all. Felt physical pain when the tree was being cut. Felt mental anguish that even as an old man, all he did was sit on the stump. No big revelation of what his selfishness cost Tree. If the tree represents God, and the boy/0ld man us, shouldn’t there at least be some sort of epiphany boy/Old man/we go through in order for the story to have a point. When other teachers would tell me how much they like the book, I would reply. “That’s nice……Have you ever read Bunnicula? Now that was a good story..” Think about it. At least Bunnicula had a point. No, I am not just kissing up to Katdish because she is going to be the next SCL guest blogger or anything. Although if I were, I would be scoring higher on the SCL commentor score sheet. Dang. I’m not kissing up. I never liked that book. It made me cry, but not in a good way. These comments are hilarious! One of the things that I love about your blog is that people can find so many awesome tangents in a post to comment on- you know I’m a tangent person. 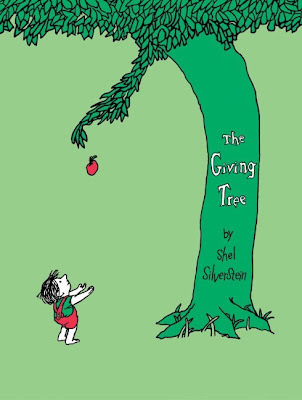 I give a hearty “right on!” to the anti Giving Tree-ers out there; as a child, I was always thought the tree was shafted and the kid was an idiot. And I agree with Helen- this is nothing like what God has done for us- Christ’s sacrifice does NOT give us license to sit around on our butts. w.v.- cramsto: How the car gets packed on the way home from camping. Twitter? Where is it on your blog? Why haven’t you twittered today? Twitter.